Universally known as the greatest basketball player of all time, Michael Jordan has been the face of the game ever since he won his first championship. It could even be argued that he had this title even before winning his first title but he was still not known as a winner then. He was obviously the best individual player at that time, but there were serious doubts as to whether he is capable of leading the Chicago Bulls to a championship. All of those doubts were shattered the moment he beat Magic Johnson and the L.A. Lakers to capture his first championship. 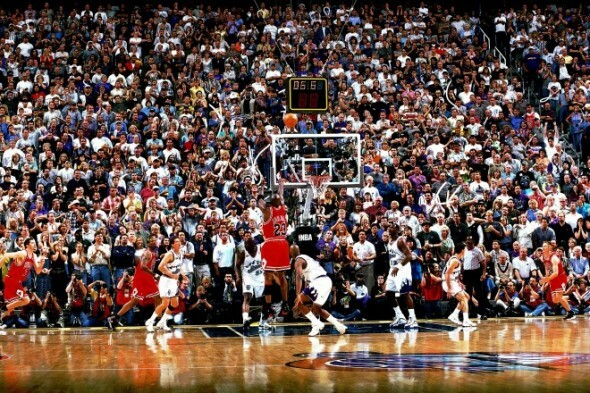 Let us take a look at the facets of MJ’s game which made him the greatest player ever. When Jordan first came into the league, his physical gifts were practically unmatched. No one had the same combination of speed, quickness, strength, and jumping ability which made him one of the best scorers in the league immediately. His athleticism also made him a 2 time slam dunk champion, highlighted by the duel he had with Dominique Wilkins where both were exchanging rim rattling and gracious dunks and wowing the crowd. 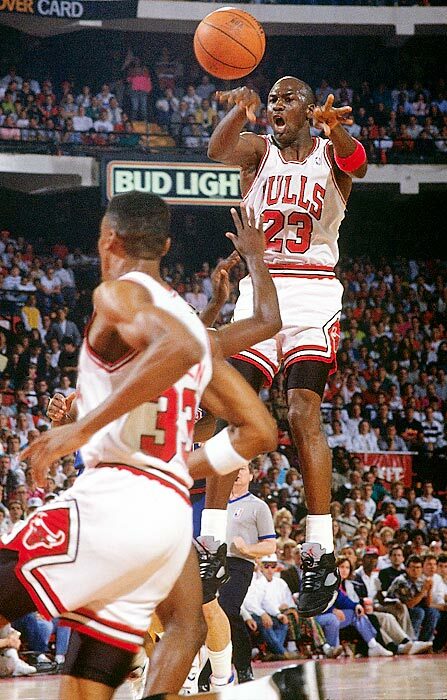 One of the more surprising aspects of MJ’s game is his fundamentals. Typically an athlete like him will use every ounce of athleticism he has in order to gain an advantage over opponents since it is much easier to do than take the long road and learn the basics, but not Jordan. He studied the game and learned from the best coaches such as Dean Smith and Doug Collins. This made him so much more ahead compared to his peers. He knows what to do while being double teamed, when to make the extra pass, where to go on the defensive end when the play is broken. These traits made MJ such a feared competitor. 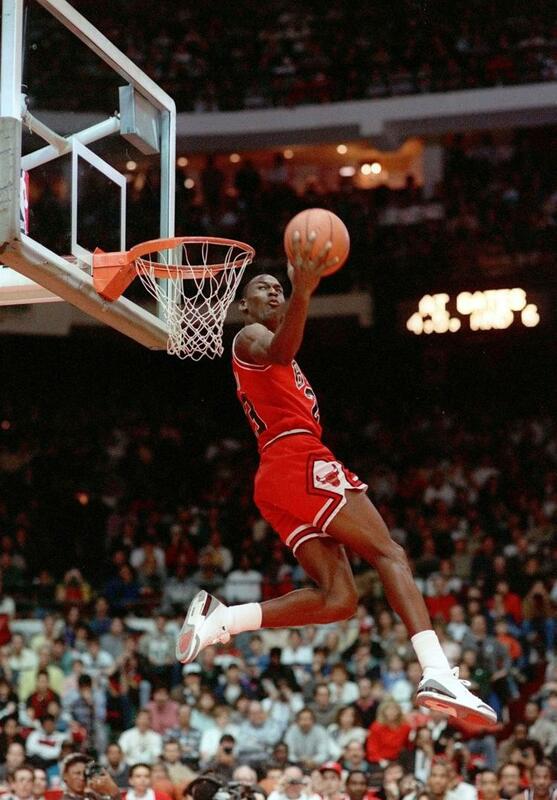 MJ’s basketball IQ is sky high, especially for someone as athletic as him. Players with natural abilities tend to do the physical work only and just get by on it. Jordan’s insistence on being the best allowed him to study the game inside and out. 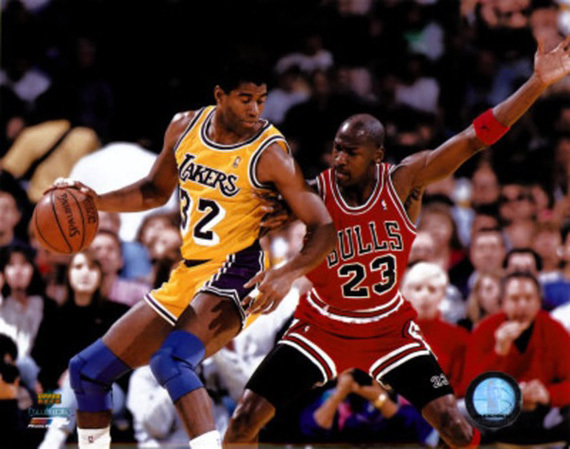 Knowing the intricacies of the game made MJ able to adjust to any situation and enabled to him to set the pace of the game just by scoring or defense alone. 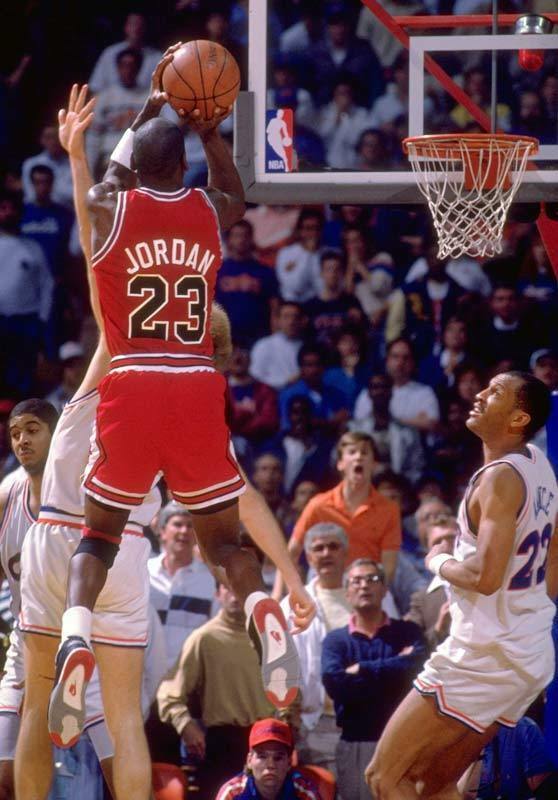 Perhaps the most known aspect of Jordan’s game due to his multiple scoring championships and clutch basket. While this is definitely the highlight of his offense, there is so much more to his offensive game apart from scoring. His passing, off-ball movement, and help given to teammates are what sets him apart. He may score a lot and be a ball hog during stretches, but he does whatever is needed from him on the offensive end aside from scoring. Of course scoring is his bread and butter and his team goes to him always when the game is on the line. 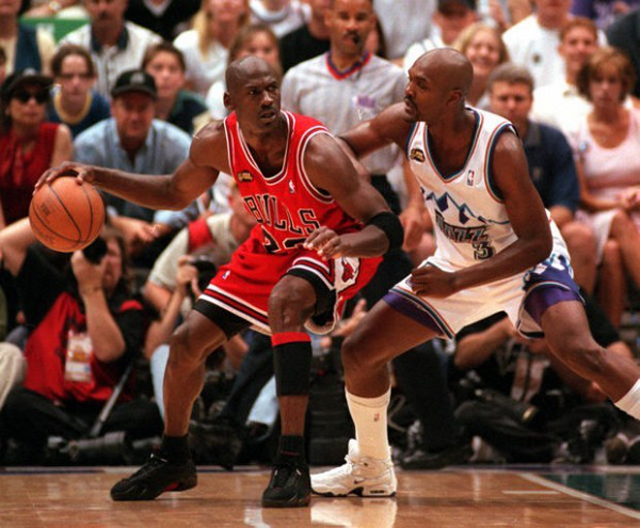 Another aspect of MJ’s game that is not nearly known as his scoring is his defense. Being an All-NBA Defensive team member countless times and winning a Defensive Player of the Year award confirms his brilliance in this area. 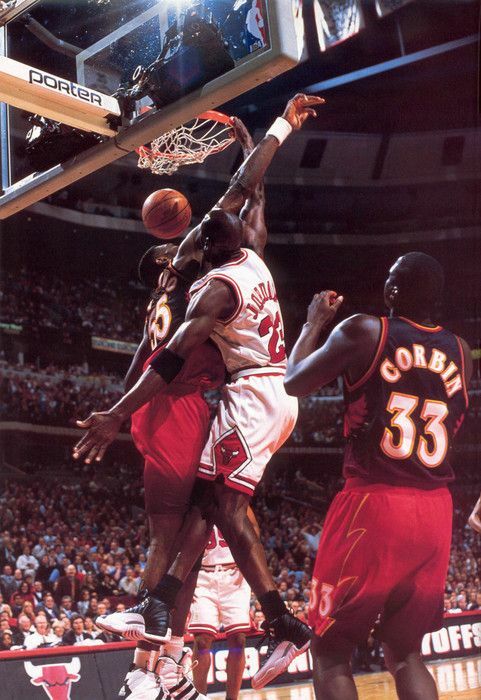 Anyone guarded by Jordan will have nightmares due to his physical play and constant pressure. If you are not paying attention, he will strip the ball from you. If you manage to get off a shot, be prepared for him to challenge you up to the end. He and Scottie Pippen made the Bulls perimeter defense almost impenetrable. 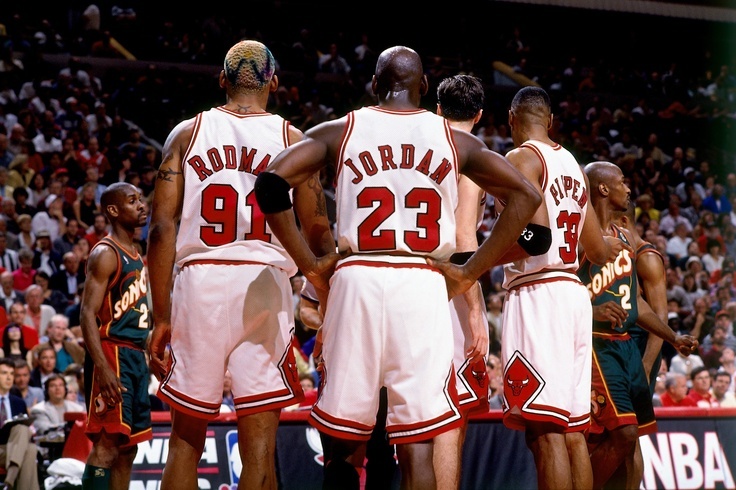 There are countless stories to how MJ treated his teammates, especially during practices. There were tales of fights and just downright insults being thrown. Despite all of this though, there is one thing that he commanded from all of them, respect. Everyone respected Jordan as they all saw just how hard he worked. This will rub on anyone connected to him. He not only led by his words, but he also led by example. When you see the best player in the league working as hard as he does, you would have a hard time not to follow the man. Another one where perhaps nobody can match Jordan on, is his competitiveness. He was so competitive that he would not stop until he wins. This is evident not only in basketball, but in other areas too such as golf, gambling, etc. On the court, he will do anything it takes to win, he will use anything and everything as motivation, from perceived slights up to the crowd jeers. Which is why if you want to win against him, not only do you have to worry about his talents, but also his will to win, which nobody really matched since he won his first championship. Looking at all of the things that we discussed, there is no doubt that Michael Jordan is the greatest basketball player that ever lived. He is virtually unstoppable and he is above-average to great in all aspects and levels of the game. His competitiveness, mindset, and will to win, just adds to his athletic ability and natural talent to basically have the complete and almost perfect player in basketball. He is made to play this game. This is what makes Jordan the greatest and most feared competitor in the game.